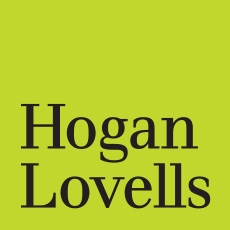 The Court of Appeal in Mears Limited v Costplan Services (South East) Limited & Ors  EWCA Civ 502, in a judgment published on 29 March 2019, has considered the meaning of "practical completion" in an authoritative judgment that provides a concise summary of the state of the law in this important area. Mears Limited (the appellant), a property management company, appealed against the refusal of the first instance Judge, Waksman J, in December 2018, to grant declarations in respect of an agreement to take a lease of two blocks of student residences following completion of their construction. The third respondent developer, J.R. Pickstock Limited had been engaged by the second respondent, Plymouth (Notte Street) Limited ("PNSL") to design and build two blocks of student accommodation at Notte Street in Plymouth. Pursuant to an Agreement for Lease ("AFL") dated 20 May 2016, Mears, which was in the business of providing managed student accommodation, contracted with PNSL to take a long lease of the property following completion. The AFL prohibited PSNL from making any variations to the building works which materially affected the size of the rooms (clause 6.2.1). In the event, 56 of the rooms were more than 3% smaller than the sizes shown on the relevant drawings. Mears claimed that any failure to meet the 3% tolerance was a "material and substantial breach" of the AFL, the existence of which automatically meant that Mears was entitled to determine the AFL and that the Employer's Agent (the first respondent, Costplan Services (South East) Limited ("Costplan")) could not validly certify practical completion. On 4 May 2018, Mears served a defects notice under the AFL which alleged that 40 rooms had been constructed more than 3% smaller than required. On 16 August 2018, Costplan served notice that they intended to attend the site to conduct a pre-completion inspection, with a view to issuing the certificate of practical completion. On 22 August 2018, Mears was granted an interlocutory injunction restraining the certification. In his judgment of 7 December 2018, Waksman J rejected Mears' claims for declarations to the effect that: (i) any failure to meet the 3% tolerance was a material and substantial breach of the AFL, meaning that it could determine the AFL (declaration 4) and that Costplan could not validly certify practical completion (declarations 1 to 3). The specific provisions in relation to practical completion were set out at clause 14. Clause 14.4, provided that "the issue or non-issue of the Certificate of Practical Completion is to be in the sole professional discretion of the Employee's Agent". According to Clause 13.7.2, if no such certificate had been issued by 11 September 2018 (subsequently extended to 18 September 2018), Mears or PNSL could give notice of termination. Coulson LJ, giving judgment, was of the same mind as Waksman J, agreeing that Mears' construction of the contract was "commercially absurd", adding "it would be commercially unworkable if every departure from the contract drawings, regardless of the reason for, and the nature and extent of, the non-compliance, had to be regarded as a breach of contract". The parties had recognised the problem and addressed it head on. They agreed that the benchmark would be if the size of the room was "materially affected" by the departure, and went on to agree what was to be deemed "material", namely a reduction of more than 3% in any particular room. However the parties were not saying that the resulting breach of contract itself was "material". Clause 6.2.1 simply identified a mechanism by which a breach of contract could be identified. If Mears' "absolutist argument" were accepted, "so a failure to meet the 3% tolerance in relation to the bin store on the ground floor, even if that failure was trivial, would be said to be a material breach of contract" which would allow Mears to walk away. That construction had to be wrong "as a matter of commercial reality". Waksman J had been correct, as a matter of construction, that clause 6.2.1 could not be read as deeming that any breach of contract would be material so as to allow Mears to treat itself as discharged from its obligations under the AFL. The Court of Appeal noted that Waksman J had also dealt with Mears' argument that the fact that the breach could not be remedied meant that practical completion could never be achieved. Waksman J had rejected this contention. In reviewing the authorities, Coulson LJ noted the well-known House of Lords decision in Ruxley Electronics & Construction Limited v Forsyth  1 AC 344. In that case, the swimming pool as built had a diving area that was only six feet deep, although the contract specified it should be seven feet six inches deep. The owner said that, because it was an entire contract, the swimming pool had never been completed and he owed nothing by way of payment. He also claimed the cost of rebuilding the pool even though he did not intend to carry out the work. The House of Lords had concluded that, where the expenditure was out of all proportion to the benefit to be obtained, the appropriate measurement of loss was not the cost of reinstatement but rather the diminution in value. The fact that a defect cannot be remedied does not mean that practical completion cannot be achieved. Ruxley itself was of limited use, and did not support a contrary interpretation. In dismissing the appeal, Coulson LJ rejected the contention that any failure to meet the 3% tolerance, no matter how trivial, automatically amounted to a material breach of contract. He did not doubt that the parties to a construction contract can agree particular parameters to guide and control a certifier in the exercise of their discretion in relation to practical completion, but they had not done so here. The failure to stay within the 3% tolerance was a breach of contract, "but whether any particular departure from the drawings was trifling or otherwise" was a matter of fact and degree. Coulson LJ said he was aware that none of the standard forms of building contract sought to provide any such guidance or control. Therefore, in the absence of any express contractual definition, practical completion was a question for the certifier. Costplan considered they would have certified practical completion notwithstanding the existence of the 56 rooms outside tolerance, and Coulson LJ said he assumed that was on the basis that the departures from the 3% tolerance could properly be described as "trifling". He added obiter that the mere fact that the property was habitable as student accommodation did not, by itself, mean that the property was practically complete. The issue of the irremediable nature of the breaches was irrelevant to the issue of practical completion. A patent defect that is properly regarded as trifling cannot prevent the certification of practical completion, whether the defect is capable of economic remedy or not. If on the other hand, the defect is considered to be more than trifling, then it will prevent practical completion, whether or not it is capable of remedy. The issue of whether a defect is capable of economic repair is a matter that goes to the proper measure of loss, not to practical completion. The Court of Appeal judgment accords with the law as understood in Hong Kong and as outlined in Mariner. Practical completion as used in Hong Kong building contracts, means a state of affairs in which the works have been completed free from patent defects other than ones to be ignored as trifling. Practical completion and substantial performance are separate and distinct concepts.